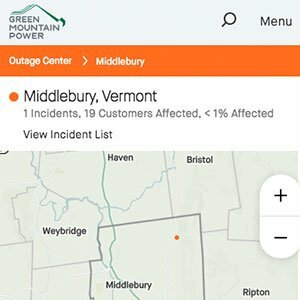 Green Mountain Power wanted to redevelop its online electrical outage application so that customers could easily report an outage as well as view current data by map or listing. The high standards set for the project resulted in a beautifully detailed Vue.js API-driven application. Working closely with talented duo of Brault & Barnes, Teledemic and the capable tech crew at Green Mountain Power, Partisan created the presentation layer of the application.